Steam users are once again able to purchase Star Control: Origins after the game was blocked from release by its original creators. Fred Ford and Paul Reiche III, who developed the original two titles, issued DMCA takedown notices against Valve and GOG to prevent Origins from launching, as part of an ongoing dispute with its developer Stardock over copyright for the series. Stardock had requested a preliminary injunction against the duo, attempting to pre-empt any takedown, but was denied. Ford and Reiche then proceeded to block the release. However, Stardock CEO Brad Wardell announced via Twitter that the game is once again available on Steam. When asked whether the game would also return to GOG, Wardell said: "Nothing I can discuss publicly unfortunately. Other than to say that the dispute is Stardock/GOG/Valve on one side and Reiche and Ford on the other." At the time of writing, Star Control: Origins is not available on GOG -- although the DLC and soundtrack are. Page listings for these still offer the option to add Star Control: Origins to your basket, but this currently does not work properly. Ford and Reiche defended their use of takedown notices, arguing that Star Control: Origins is too similar to Star Control II, for which they claim ownership. 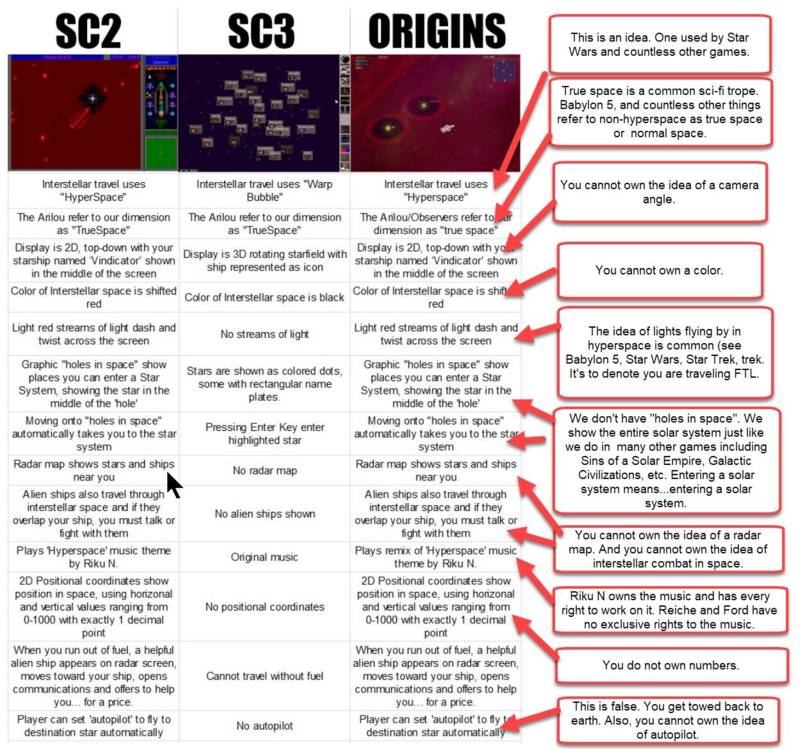 They assert that Stardock only acquired the Star Control trademark and the original parts of Star Control 3, using a comparison chart to demonstrate how different Origins is from that title. Wardell has since added his own comments to the chart and shared via Twitter. The dispute continues.